Our Carmelo Pen features strong twist action and classic metal executive design to offer a nice choice for Promotional giveaways with your Logo. 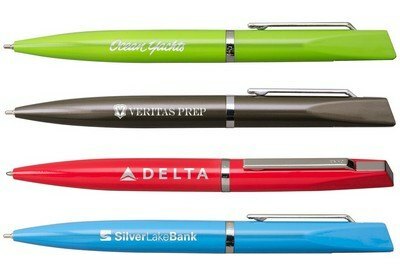 Add a personalized twist on the most beautiful metal pen to create an impressive promotional giveaway that exposes your brand the way you would like. 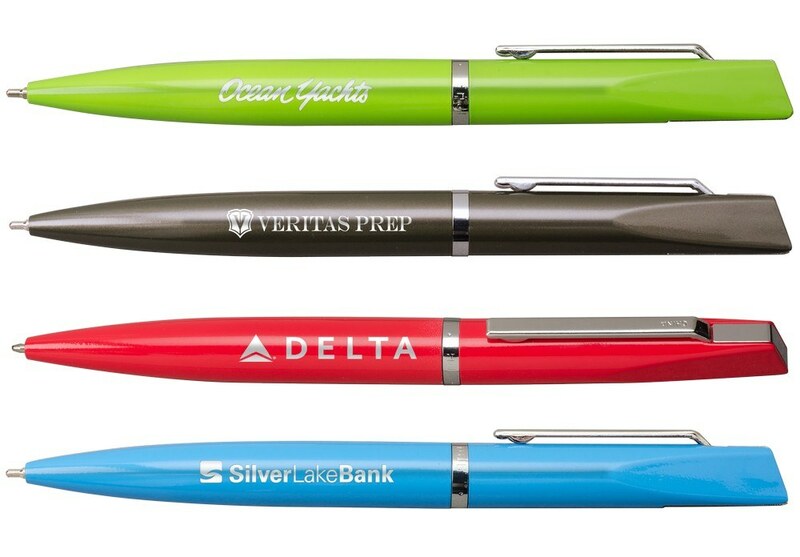 Custom pens like the Carmelo Ballpoint Pen are great choices for brand promotion at business meetings, reception areas and tradeshows. 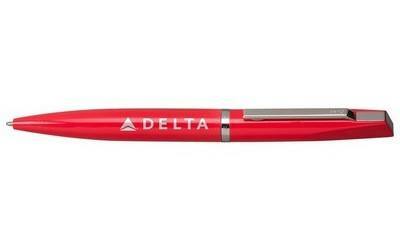 The sleek, twist-action pen features a metal barrel with an attractive chrome trim. 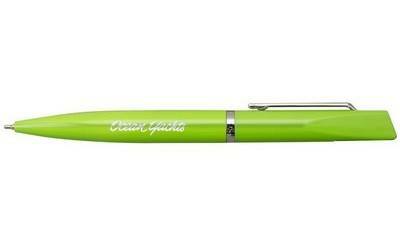 This pen offers smooth writing in a medium point black ink for note-taking. It is available in a wide variety of color options to best suit your corporate logo. Pick the one you find appealing and create a corporate gift for executive use.